The Diana Award is the longest running award for young people that is given to individuals and groups through a retrospective nomination process only. We believe this is special. Young people do not work towards the award, rather they demonstrate their suitability through their actions, without any expectation of reward. This is especially true of the two members of Sticks ‘n Stones who were the first New Zealanders to be awarded the prestigious Diana Award. Max Hall a year 12 student from Mt Aspiring College and Courtney Smith a year 13 student from Maniototo Area School were deserving winners for their dedicated work with us. Max received his award because of his deep belief in the importance of empowering every young person to be themselves without fear, harassment or bullying. As a strong anti-bullying advocate in his school and community, Max has made a profound difference to other students in his school acting as a strong role model, providing 1 to 1 support, committing hundreds of hours to Sticks n’ Stones and Stand up to Bullying (both off and online). 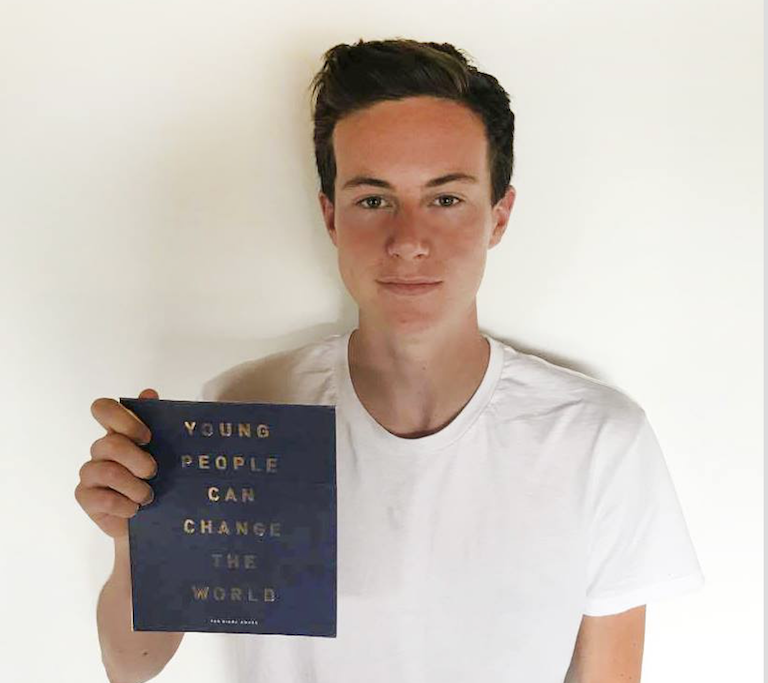 Through training, presentations, planning and delivering workshops, speaking at international conferences and creating an online game, Max has been aspiring to make small positive change in the hope that one day he can make a big difference. Courtney’s experience with depression in her early teens and her bravery in sharing her experience and challenging stereotypes around mental health made her a great fit fore the award. Courtney is a selfless, dedicated, caring and hardworking young woman who believes she can make a difference to the lives of others, helping them to realise that they ARE worth it. She juggles representing her country in Curling with her volunteering through Sticks ‘n Stones, St John Ambulance, and achieving a high level academically as she prepares to study medicine at University next year. She has led the development and delivery of focused anti bullying workshops across her school as well as working hard to raise awareness and challenge stereotypes with mental illness to advocate for more support, a cause close to her heart. We are incredibly proud of Courtney and Max and these awards are very special to us as we build our relationship with the Diana Award and Anti Bullying Pro teams in the UK. Click HERE to read the 2016/17 Diana Award Roll of Honour featuring Max and Courtney.